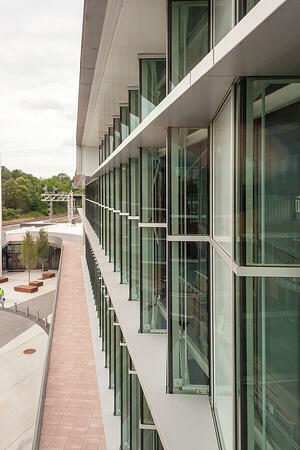 In order to accommodate the current and future demand for intercity passenger rail, commuter rail, buses, bikes, taxis, and more, the City of Raleigh and the North Carolina Department of Transportation (NCDOT) constructed a new train station in the city’s downtown Warehouse District. The Raleigh Union Station replaces an old Amtrak Station nearby and has the provisions to add additional rail lines at a later date. 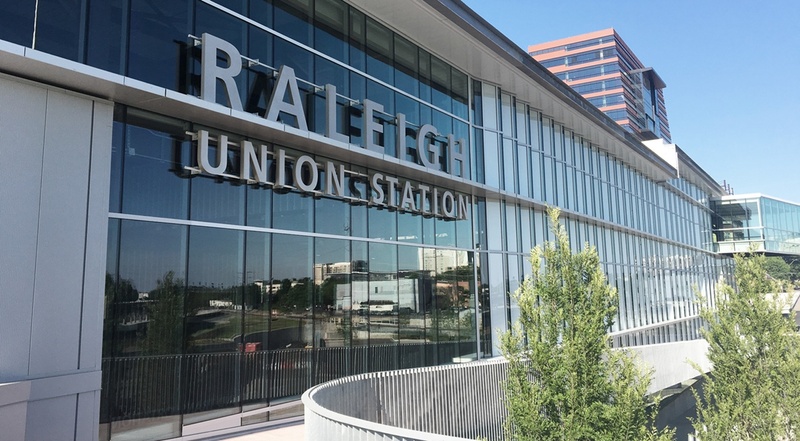 In July 2018, train service began, and Amtrak and NCDOT began offering four daily round trips between the new Raleigh Union Station and Charlotte. The city initially proposed a new multi-modal facility as early as 2010. The current vision was selected and realized in 2011, and Clearscapes was selected as project architect. The project design began in 2013. Steve Schuster, FAIA and founding principal of Clearscapes, has led the effort in revitalizing countless historic structures nationally. For nearly 30 years, he has also had a business relationship with Frank Werner, Director of Business Development with the Building Solutions team at CRH. Due to their history of project collaboration, Frank reached out to support Steve and Clearscapes in the design of the exterior skin for curtain wall, glass, and masonry. The start of construction began in January 2016. The city led the construction of the station and site and contracted through a joint venture of Clancy & Theys and Skanska USA Building. Frank and other members of the Building Solutions team also had extensive business relationships with people at Skanska. Frank introduced Oldcastle BuildingEnvelope®, A CRH Company, to the project team, and Skanska introduced CRH to the glazing subcontractor. Together they discussed the benefits of working with a single source for product manufacturing and provided design assistance and technical expertise on the curtain walls. This laid the ground work for CRH’s early involvement with the project. Such complex transit projects such as the Raleigh Union Station are ideal for early supplier involvement due to their complexity, scale, and the number of people impacted during design and construction. 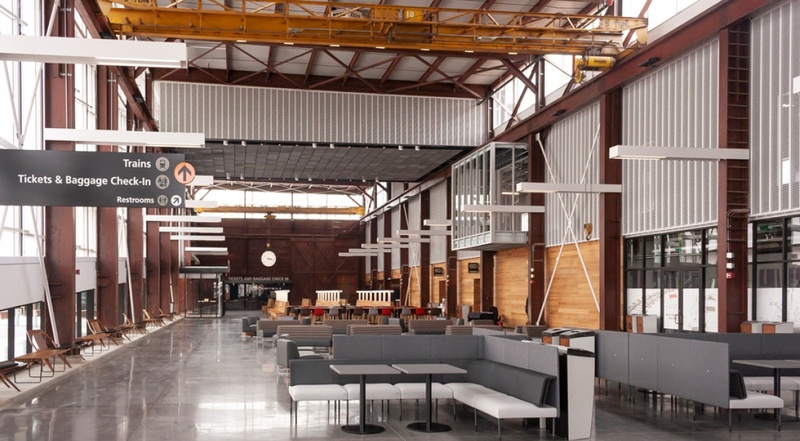 The project reused an old industrial building that had sat vacant since 2005 and added more than five times the space of the former Amtrak station. The new station is 26,000 square feet and includes 9,200 square feet of passenger areas with natural light and views of the Raleigh skyline. 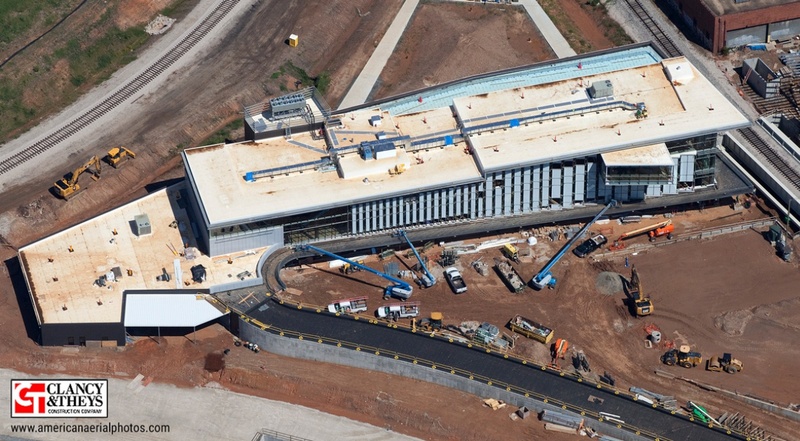 The project incorporated metal sheets from the original industrial building to line one wall of the concourse. Having a single product supplier involved with a project early can help realize possibilities come production time and allow everyone to work toward a common goal. Learn more about the phases of construction and how a product supplier can help you from conceptual design all the way through to the end.